I have dined at California Grill twice. Once in May 2007, and most recently in February. Ethan had never been there, so I wanted to splurge on a dinner and have a great time. California Grill is located at the top of the Contemporary resort just beside Magic Kingdom. In my opinion, it is worth it just for the view. I figured I would do some restaurant reviews from my most recent trip, to hopefully help those of you looking for where to eat on your Disney vacation. During this trip Ethan and I booked the Keys to the Kingdom tour at Magic Kingdom, so we were there earlier the day of our reservation. We were planning on staying all day so we brought a change of clothes with us for dinner and rented a locker outside of Magic Kingdom. We also put the tripod in there so we could get some great pictures of Wishes! I was really happy we rented the locker because it made it much easier throughout the day. When it was almost time for our reservation, we changed in the Magic Kingdom washrooms and walked over to the Contemporary. It is about a 7 minute walk, but it was definitely nice to escape the busy Magic Kingdom, and it was the closest thing to a break we had that day! We found our way to the check in desk for California Grill, and were asked if we were celebrating anything. I of course said Ethan’s birthday because it was two days earlier. After just a few minutes of waiting we went into the elevator that took us up to the restaurant. The Cast Member is the elevator mentioned that if you bring your receipt back to the desk, you can go onto the observation decks to watch Wishes at night. Our reservation was fairly early, so we weren’t sure if we were going to take advantage of this. I have seen Wishes from the decks before, and it is nice to have a different view. We were escorted to our seat which was sprinkled with Mickey Confetti! The view was amazing. I am obsessed with the Grand Floridian (I think because that is where the Tanners stay in Full House) and I had a great view. Our server was great, and the food was amazing. They have an in-house sushi chef, so I knew what I was getting. Ethan wasn’t as sure, and ended up ordering a seafood dish, with lobster, scallops, shrimp, rice and sweet potatoes. I had he California Combination Roll. We got bread to the table (always great, I went to chef school and has a sweet spot for good bread). My sushi was delicious, and I ate every last roll. Ethan thought his was good, but not necessarily worth the price. California Grill is expensive (it counts as 2 table service meals with the dining plan) but the view alone is worth it. Once we finished our meals, a complimentary dessert was brought to the table! Remember when I was asked if we were celebrating anything? Look at what we got! The dessert was really good, and sadly our meal was over. 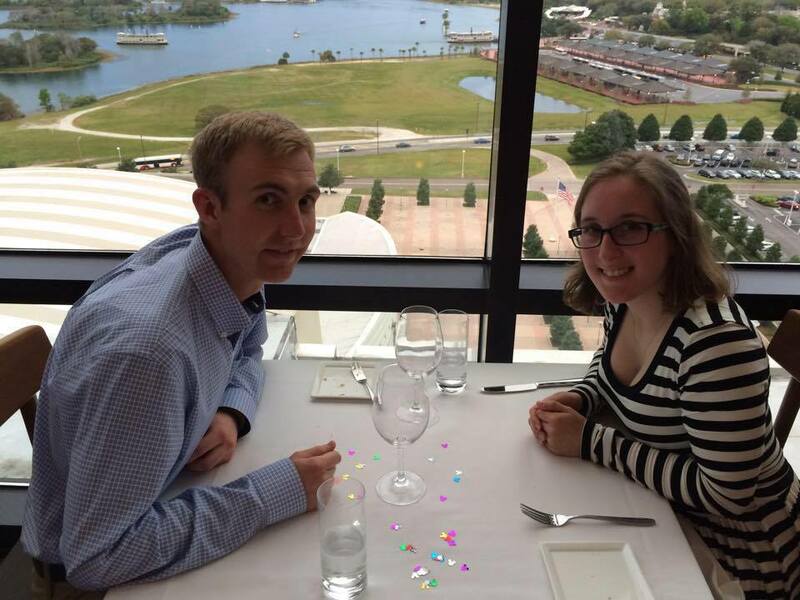 The servers are great and tell you that you can go out to the observation decks, one at each end of the restaurant. Ethan and I got our cameras out and headed outside. 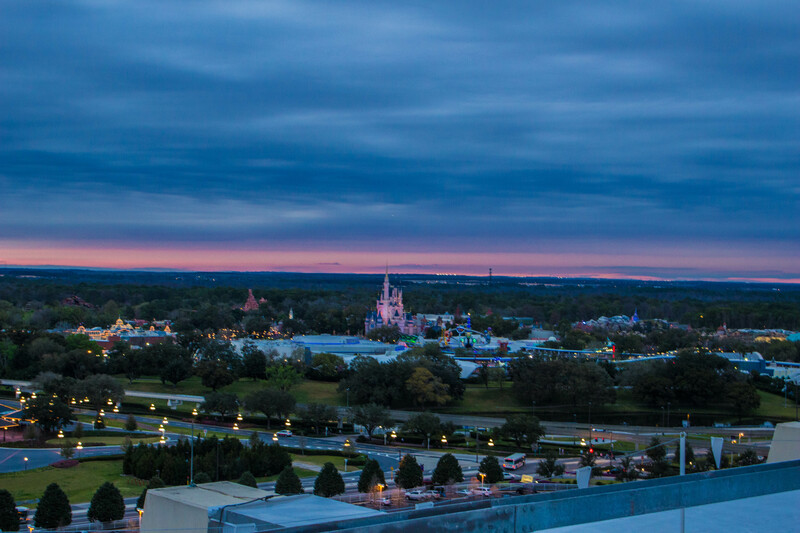 It was so peaceful up there, and so cool to see so much of Disney World. You could easily see Spaceship Earth and Tower of Terror, and even closer you can see all of the mountains of the Magic Kingdom! Seriously, go there to see the view. Even if just for appetizers or drinks! You will not regret it! Ethan and I took our pictures and headed back to Magic Kingdom, We decided to stay in the park for fireworks, and even ended up staying to see The Kiss Goodnight. Hopefully we will be able to Wishes from California Grill sometime soon. The restaurant has recently received a makeover, and I thought the decor was beautiful. I can’t remember much about my first time there, but I definitely liked the new look. I remember being seated near the Pastry Chef when I went with my family, and it soon became my dream to work there. It only took a restaurant-like exam to change my mind! I had so much fun going to such a nice dinner with my guy, I hope you liked some of the pictures we took! 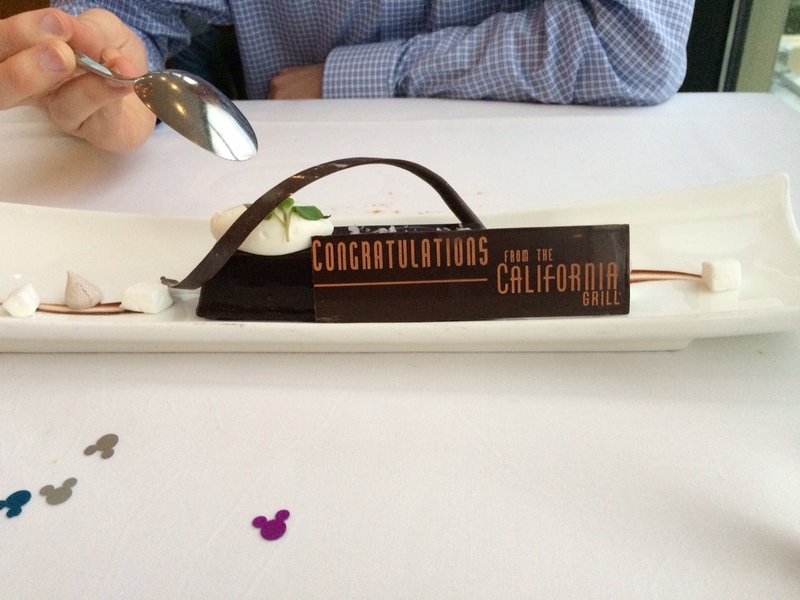 As you can see, California Grill is a special restaurant for me, and I love having the chance to eat there! Have you ever dined at California Grill? If not, what is your favourite Disney restaurant? Let me know in the comments! First of all, I’m jealous. Planning a Walt Disney World vacation is so much fun! I just went in February and I already wish I was planning another vacation, it might as well have been a year ago. Not that I didn’t have fun, it just already feels like it was a long time. (The goal for my next trip is November 2016, I just have to convince my family Dad). 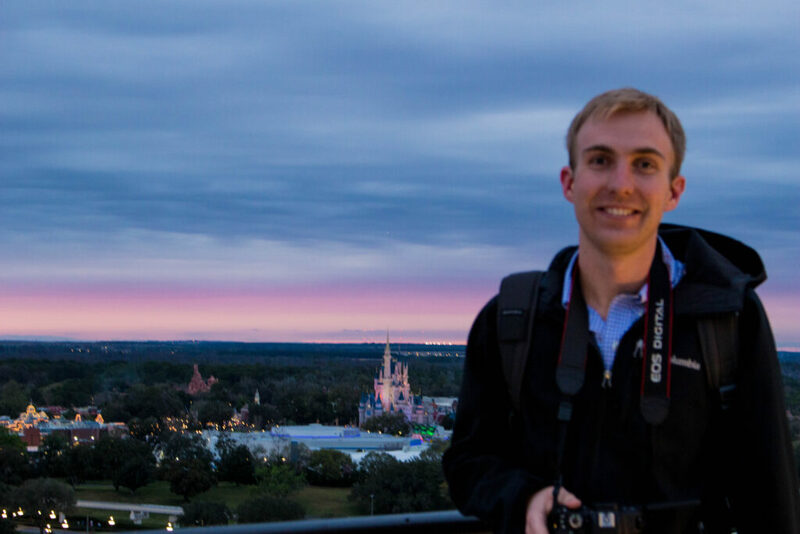 There are a lot of decisions to make when booking a vacation to Walt Disney World, and the first piece advice I can give is use the Walt Disney World website. It has the most detailed information and is very helpful when booking a trip! This post will serve as sort of a dashboard for lots of information you would need when planning a Disney Vacation. 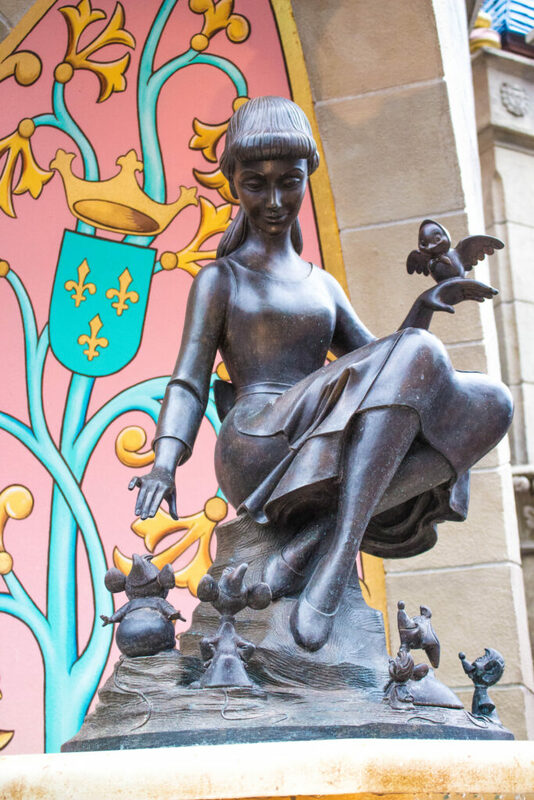 All of the things that you need to consider when thinking about visiting Walt Disney World, and links to other posts here on the blog that expand on those topics. I will continue to update this post as other topics are posted so everything is easy to find! Let’s get started! 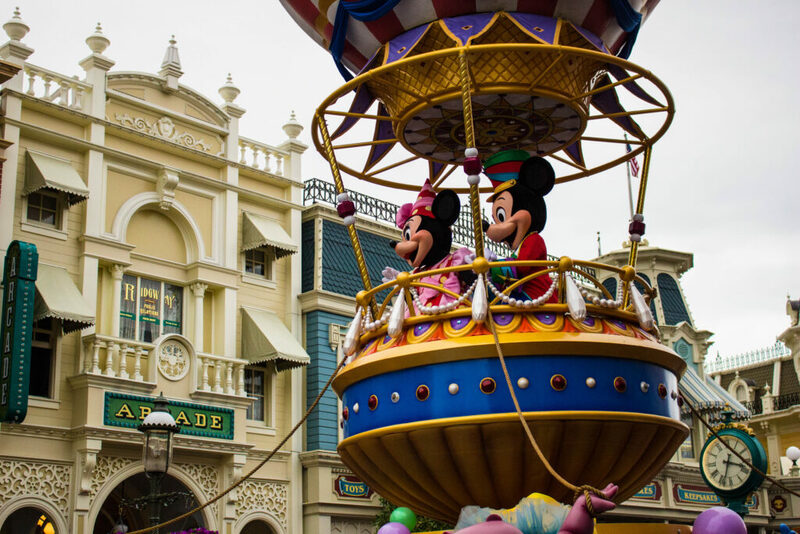 There are so many things to see and do at Walt Disney World! That’s why I would suggest dedicating an entire vacation to it, especially if it is your first time! 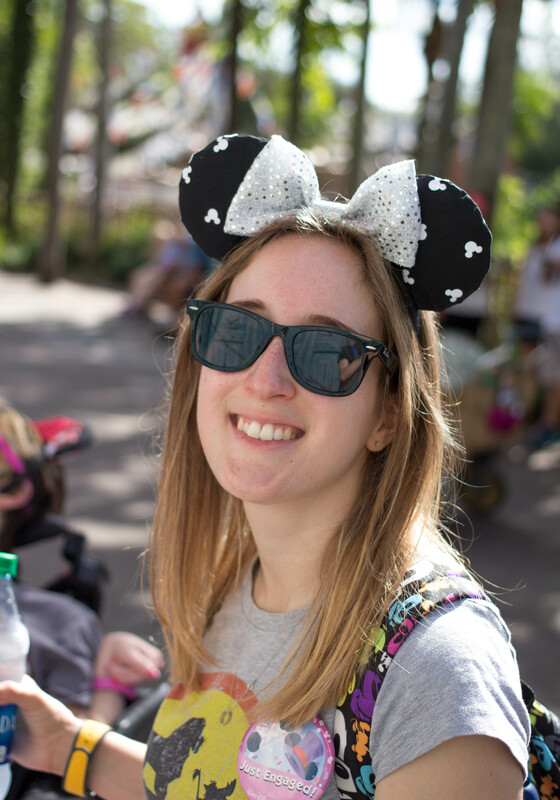 A 5 night, 6 day trip is usually enough time to see most of what Walt Disney World has to offer, but I’ve been seven times and still experience new things each trip! A week is generally enough time, and a lot of deals are geared towards staying this long. It sounds like a long time to be there at first, but once you go you will be glad you were there for a week! 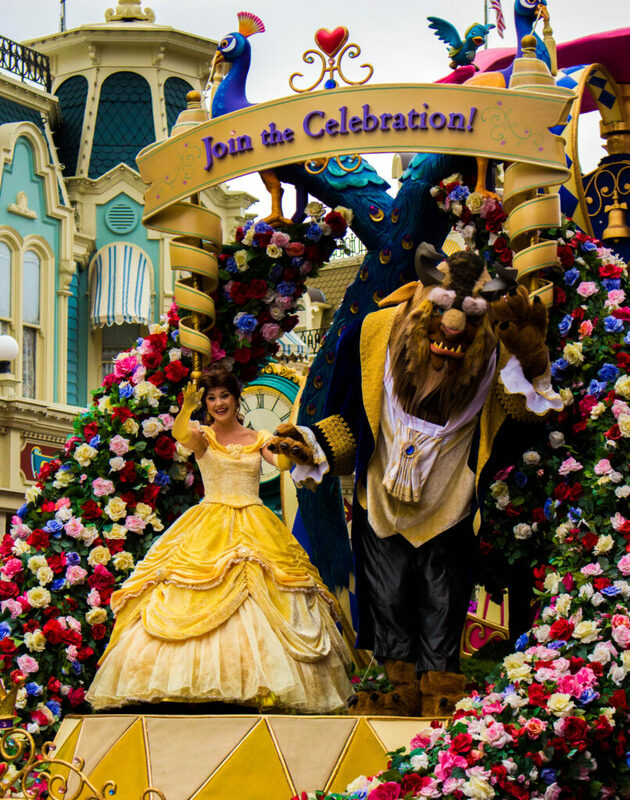 Disney owns a bunch of restarts on property, and I have done a post all about it! You can read that here. I break down everything you need to know about where to stay, and give my opinion on whether or not it’s worth it to stay on site. It is a different decision for everyone, but the post shows where I stand! If you are staying at a Disney Resort hotel, you can take advantage of the Disney Dining Plan! This post goes through the different “levels” of the dining plan and talks a little bit about if it is worth it or not. During my last trip I did not purchase the Dining Plan, but I have on previous trips so I could compare. Who would believe this is in Orlando?! Walt Disney World has amazing food! As I explain in my Disney Dining Post, there are two types of food service in WDW. Quick service, where you order at a counter (like McDonald’s) and Table Service meals, where you are served at a table (like Boston Pizza). If you are looking for a sit down meal, you should make a reservation. You can make dining reservations up to 180 days before the first day of your trip if you are staying at a Disney Resort Hotel. If you are staying off site, you can make a reservation 180 days in advance of the day you are booking for. 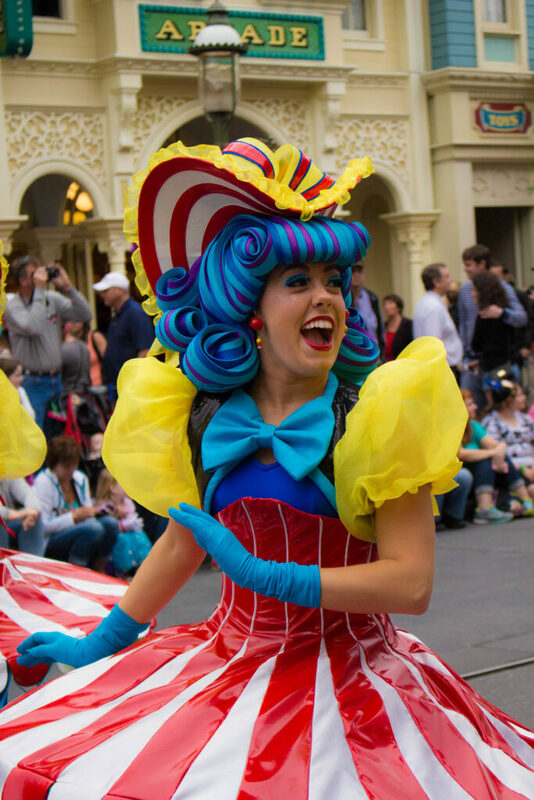 Obviously Disney gives you a slight “advantage” if you are staying on site, but it is something you should plan for because you need to eat while you are there! Disney restaurants can be found on the Walt Disney World Website and can be made from there as well, or by calling 407-WDW-DINE. Trust me, the food in Walt Disney World is different than anything you have had at a theme park! Look for a post all about Disney’s Magical Express coming soon! 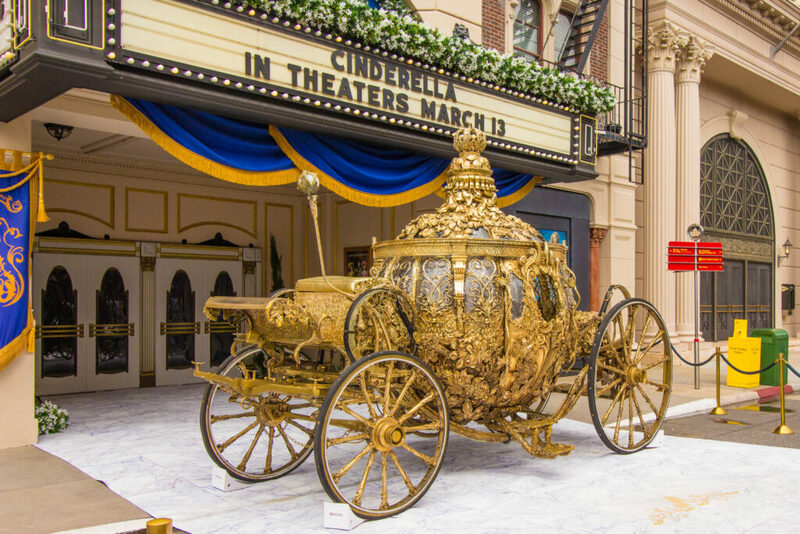 This service is free, and available to guests staying at Disney Resort Hotels. You receive luggage tags before your trip, and when you arrive at Orlando International Airport you don’t need to pick up your bags! You just head to the bus that takes you straight to your resort an get your vacation started! 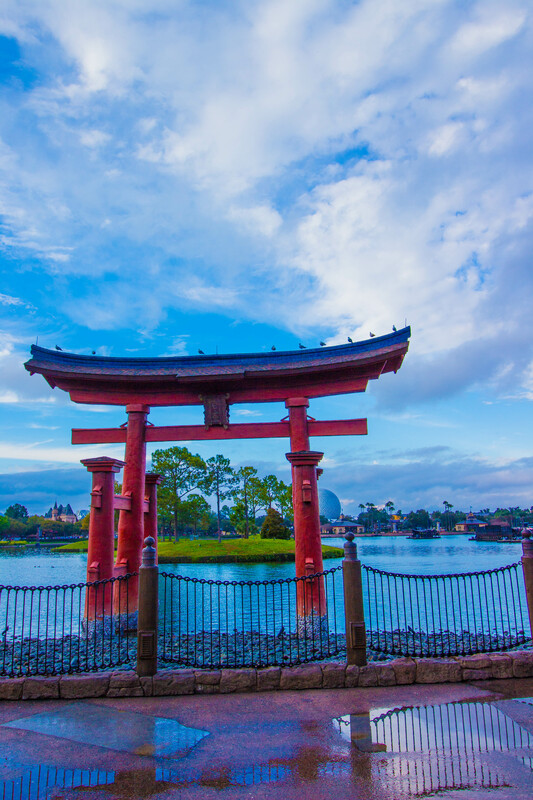 There are a few different types of tickets that are available when visiting Walt Disney World. In a future post I will break down all of the different types and which I think are worth the extra money. You have your basic ticket, a special ticket if you want to visit the water parks, and if you want to visit more than one park in a day. You don’t want to be spending money on something that you aren’t utilizing, so it’s important to know the difference! Which park to visit on which day? 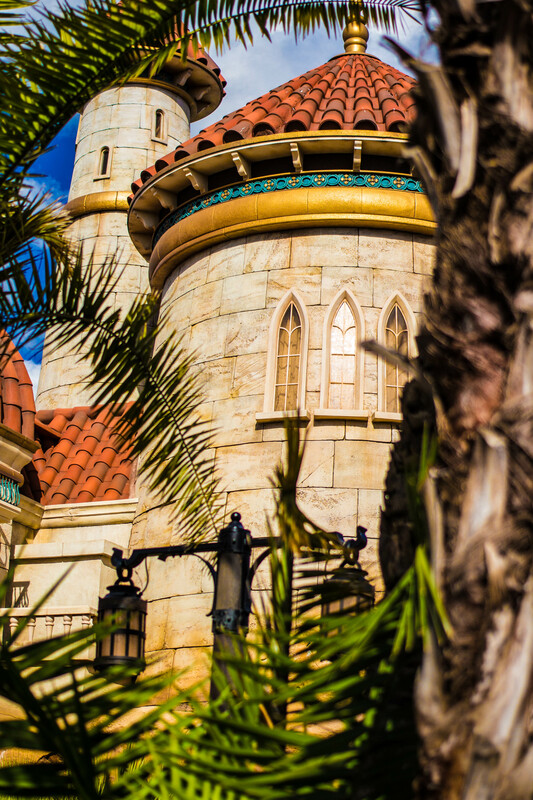 This point applies more to guests staying at Disney Resort Hotels because of Extra Magic Hours, but it is still something to think about when planning your vacation! 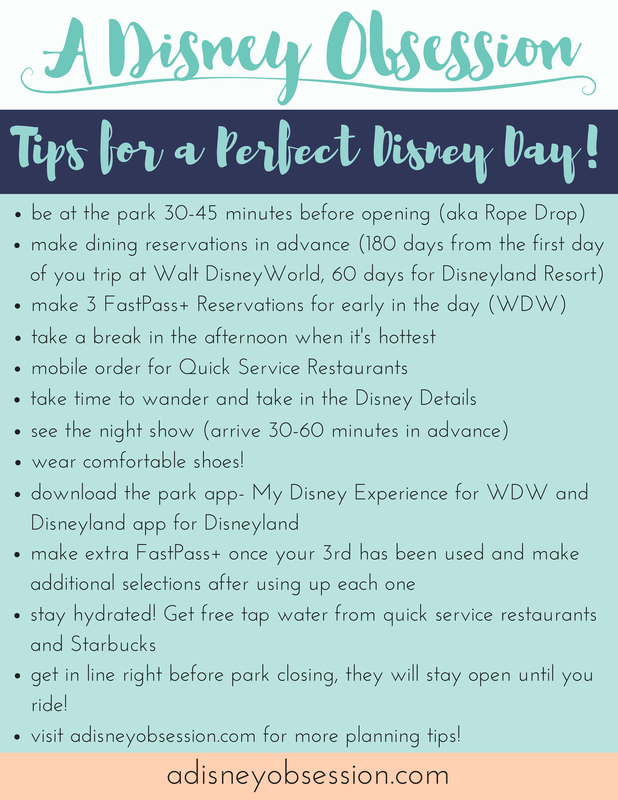 If you are staying off site but eating at a Walt Disney World restaurant, you are going to want to go to a park on the day with the longest hours, to get the most out of it! Park Hours are available months in advance on the Walt Disney World website, so it is definitely something to check out! My Disney Experience is the dashboard of your vacation. I wrote a post with everything you need to know! Even if you are not staying on site, it’s something you will want to check out! You can read that post here. 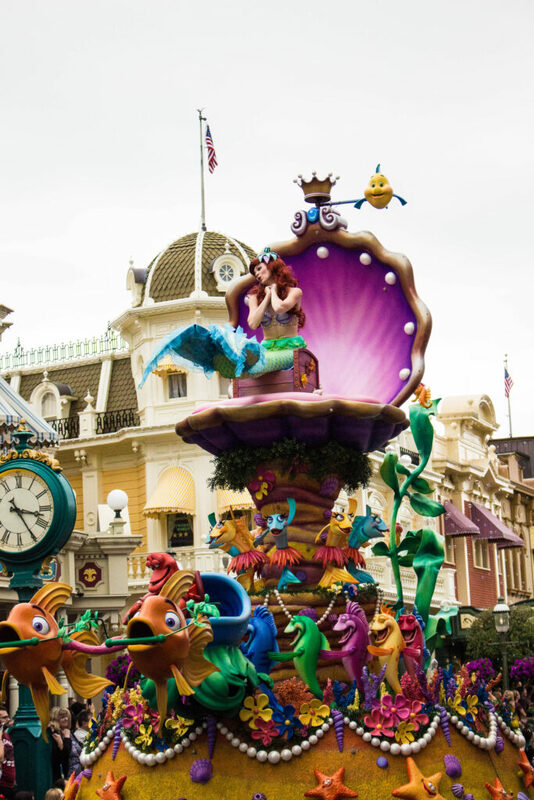 What sort of things do you think about when booking a trip to Walt Disney World? Let me know in the comments! 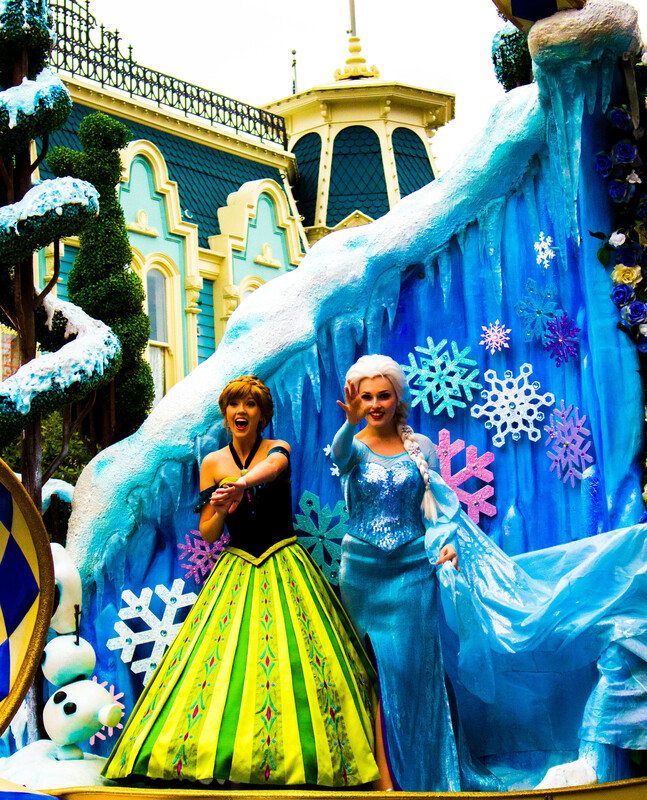 This is the newest parade at Walt Disney World, and I love it! It was really fun for me following along with Disney Parks Blog, to see the parade from when it was first announced in April 2013, and finally seeing it in person this past February. You can check the announcement post out here. I’ve never experienced something from concept sketches to seeing it in real life , so it was something very special for me. I ended up watching the parade sort of by fluke, saying “I don’t really need to see it” for almost two days in Magic Kingdom. Ethan and I were in Tomorrowland and started to see crowds lining up by the curbs of the hub and Main Street U.S.A. It was one of those conflicting moments; do we go on rides while the crowds are lower? Or do we watch the newest parade in Walt Disney World. PARADE!! I’m so glad I saw it, and I took A LOT of pictures. I took so many pictures that I could basically replay the parade in pictures, but I don’t want to ruin it so I will only put some pictures in. Enjoy! 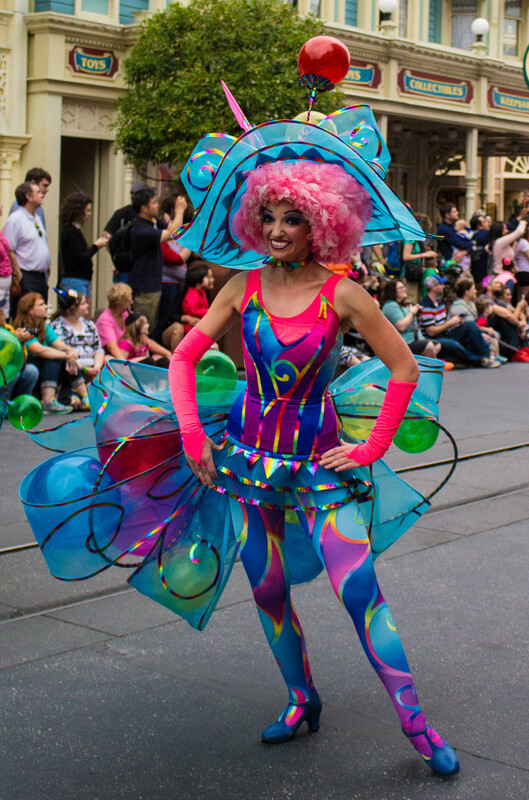 It is such a bright, colourful parade, and I loved the music. It showcases a lot of the newer movies but doesn’t forget the classics, The costumes are so detailed I just couldn’t stop taking pictures! I think my favourite part was Maleficent in dragon form. It was amazing to see up close! 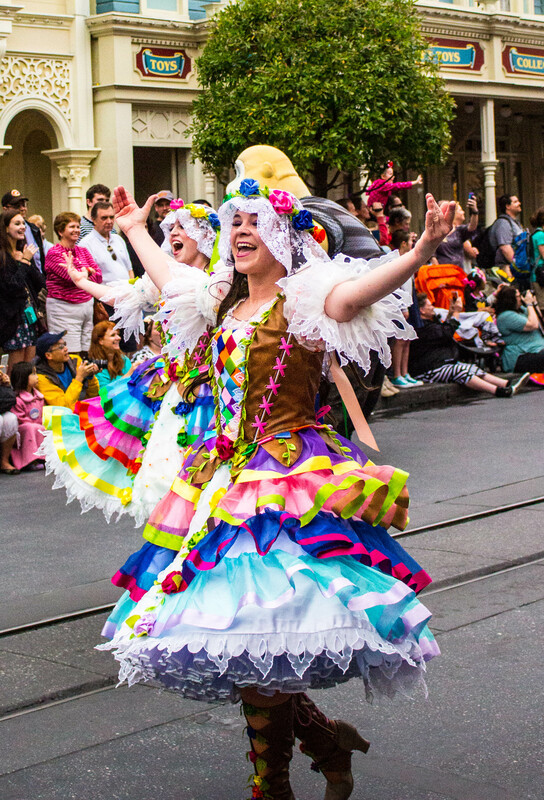 The parade is available as a Fastpass+ (reserved seating in a great spot) so if you are a parade lover I would suggest using a Fastpass+ for it. If not, you can stake out a spot 1 hour to 45 minutes before the parade. Ethan and I walked up about 10 minutes before it started, and were standing behind people who were sitting on the curb of Main Street. 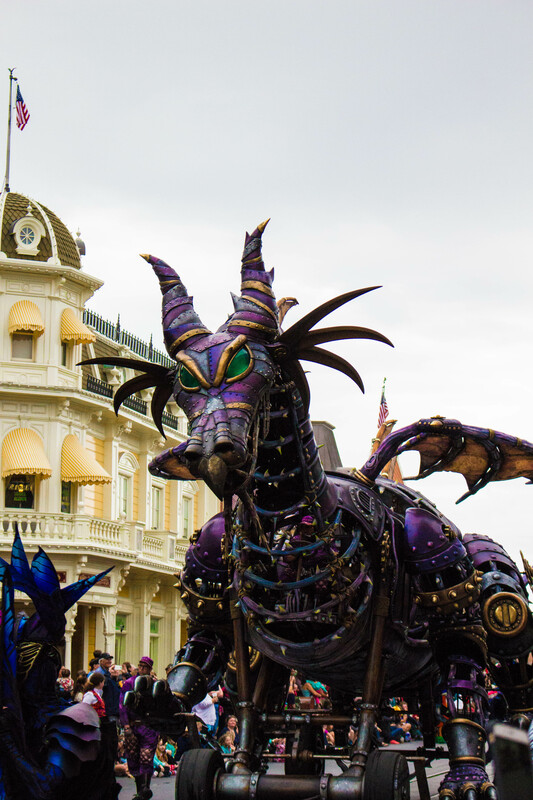 I hope you enjoyed the pictures as much as I enjoyed taking them, and I hope you will want to see the Festival of Fantasy Parade next time you are in Walt Disney World! 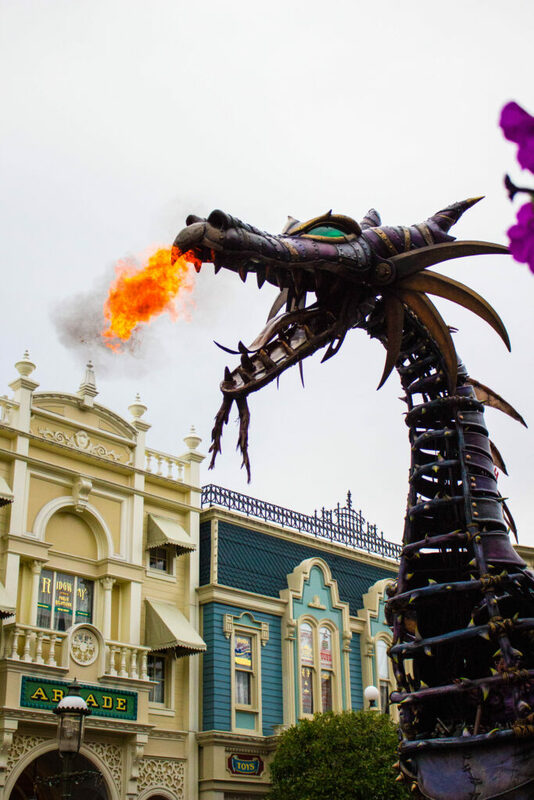 Have you see Festival of Fantasy? What were your thoughts? Let me know in the comments!